Go with the glow. Achieve a targeted highlight effect with our range of strobing & highlighting picks. Add the perfect hint of radiance to your naturally gorgeous look. This highlighting primer will bring out a barely there glow. Complement your look by adding luminous dimension with a smooth creamy finish. Use the Master Strobing Stick for a targeted, dewy highlight. Meet the ultimate glow. Illuminate to the next level with this micro-pearlescent finish from our Master Strobing Liquid. Now you can be totally lit from all angles. Achieve the glow that will blow them away. Learn how to mix in and apply the Master Strobing Liquid for the ultimate highlight. Light it up and glow away. 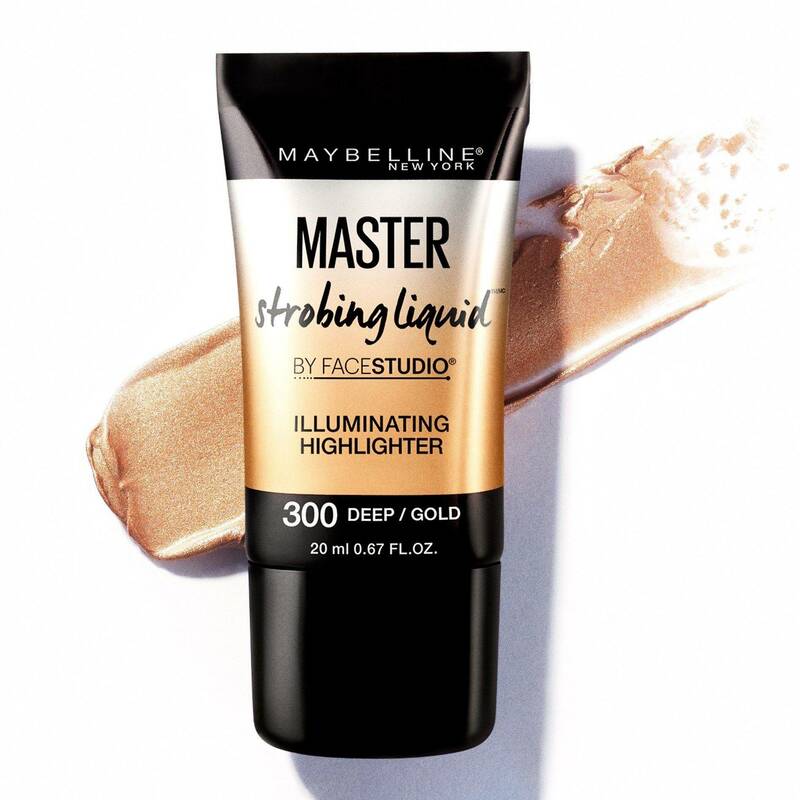 The Maybelline Master Strobing Stick lets you sculpt, strobe and add dimension for beautifully highlighted features, in seconds. An instant enhancement: facial features are defined with light, while skin remains illuminated. Get that illuminated face! Strobe to glow with Master Strobing Liquid and achieve that all over, highlighted look you've been craving. Mix with your favourite foundation. Apply on high points of face. Here’s how to show off your beaming glow. Grab the Master Strobing Stick and highlight the highpoints on your face for a stunning dewy and dimensional glow. Match your glow with a twinkle in your eyes. Start with highlighting the brow bone and follow it up with the inner corner of your eyes. Oh la la. Next, spotlight the center of your face. Work that strobing magic by adding a line from the bridge of the nose to the center of the upper-lip and center of chin. Lastly, blend it all in and show off your effortless dewy looking skin. Step up your highlight game!